Madelin White is a champion for those battling cancer. 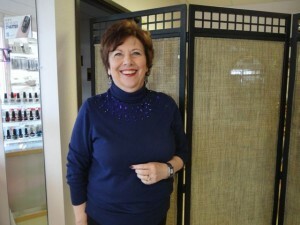 Madelin White, owner and operator of Merle Norman Cosmetics, Wigs and Day Spa, is celebrating her 40 year anniversary. Long before Facebook’s Sheryl Sandburg urged women to lean in and take leadership roles Madelin White was doing just that. Walk into White’s office and you’ll see awards covering most of the walls, recognizing her commitment to numerous organizations, both business and philanthropic — awards like the one she received recently from the Lacey Chamber of Commerce recognizing White’s business, Merle Norman Cosmetics, Wigs, and Day Spa, as a 2013 Business of the Year. Consider this – Every month for 23 years and counting, you will find White teaching a class called Look Good, Feel Better at Western Washington Oncology. As the owner of Merle Norman, White uses her knowledge gleaned over forty years of running Merle Norman to teach people going through cancer treatments how to use makeup to camouflage the effects of radiation and chemotherapy, or properly chose a wig that best fits their face and coloring. White serves on the Board of Trustees of Family Education and Support Services, (F.E.S.S.) as well. 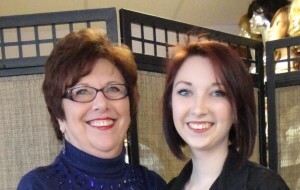 “I got involved with FESS after I discovered that so many grandparents are raising their grandchildren. This program raises money to help grandparents, many on fixed incomes,” said White. The group also provides classes and educational material for parents “These are things that touch my heart. I am a grandmother. I was also a member of Zonta for 20 years. Zonta is a worldwide organization of executives in business and the professions working together to advance the status of women,” she said. As a small business owner, White believes that it is crucial that she remains informed about legislation that will affect business in our region. Since 1996, White has been a member of the Washington Retail Association, has served as the board president three different times, and now is on the board of directors. “When you own a small business you are so involved in the day-to-day activities associated with running the business that often you don’t realize that legislation is being passed continuously that can help or hurt your business. I’m involved so I can be a voice and an advocate for small businesses,” she said. White serves on the Lacey Chamber of Commerce, presently as the President-Elect of the organization. Over the years, White has received the Woman of Influence award for Pierce and Thurston County, a Girl Scouts of America Woman of Distinction award, as well as the YWCA Woman of Achievement award. 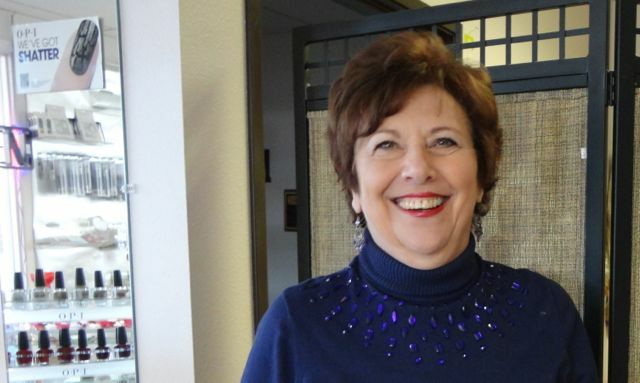 She has also been recognized as one of Thurston County’s nominees for Citizen of the Year. White’s business has survived seven recessions, and she says that 2008 was the worst by far. “The other recession that hit hard was in the 1980s, luckily my lease at our second location in Capital Mall was running out, so I closed that location and concentrated on our Lacey branch,” she said. The downsizing worked, and she was able to weather the worst of the downturn. Merle Norman moved to the present location at 3925 8th Avenue in Lacey five years ago. With the move she was able diversify her business, and brought in two beauticians, an esthetician, as well as a massage therapist. She also has a thriving wig business, and of course, there is the Merle Norman brand. Make sure you have enough capital for at least three years. Decide to go into business for the right reason. People have opened businesses because they think it would be fun. Well, it is not all fun and games. Do it because you really want to run a business, but understand that it is very hard work. Make sure you are able to verbalize your point of difference or unique selling proposition. Mine is to give the best service of anyone in the region. This was how I was able to compete with makeup counters at the large department stores. Get out there and network! When I first started Merle Norman I thought I had to be at the stores ever minute we were open. Then I realized that I had to get out there and meet people and market my business. For example, I started giving free makeovers to different groups, I joined my chamber. I started networking. I think you have to have a sense of humor. I had incredible family support. Owning a business is hard work, yet on the other hand, it has allowed me to attend things while my children were growing up, and later help out with my grandchildren, one who works here now. The community is invited to help Madelin White celebrate 40 years in business. Visit Merle Norman on 3925 8th Avenue, Lacey to celebrate her anniversary on February 21 or 22.